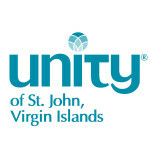 Unity of St. John Virgin Islands is the newest Unity pioneer expansion ministry affiliated with Unity Worldwide Ministries. 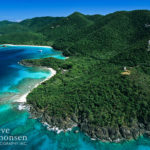 Located on St. John, USVI, we serve St. John, St. Thomas and the British Virgin Islands. This requires expensive transportation to get to our island and back ($60/person for seekers from the BVI and ferries are not available after Sunday services) as well as to Peace Hill from the docks. (We’re not allowed to park at Peace Hill). Starting March 13, 2016, we will be hosting Community Meditation Gatherings at sunset every Sunday throughout 2016 and funding is needed to provide transportation for everyone on our Unity-Peace Hill Shuttle from Cruz Bay to Peace Hill and a return boat to Tortola so people from the BVI can get home after the service. As a not-for-profit, all-volunteer organization, we only request funding for specific purposes (transportation, publications) and are affirming that the public shares our desire to serve ALL people, not just the ones who can afford the transportation costs. 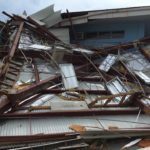 Please help us with this need so we can come together as a Virgin Islands community to pray and meditate for Inner Peace, Peace in our Community and Peace in our Global Community. We will be most grateful to see people from ALL islands coming together for this sacred purpose. By the way, on our shuttle buses, we’re going to play positive, conscious reggae! Thank you SO much for your contribution of any size and many blessings to you.